General Transcription is a service with many categories. General transcription plays a role in the world market and in all businesses. Transcription that is not related to medical or legal will fall into the category of general transcription. General transcription is a process where an audio or a video recording is typed into text format. This transcription includes business transcription, interview transcription, conference call transcription, presentation transcription, focus group transcription, education transcription, thesis transcription, research transcription, university transcription, script transcription, pod cast transcription, job interview transcription, etc. At Pilottech transcription service quality and dedicated service go hand in hand and this is the key factor to our success. There is a great demand for general transcription, many businesses are looking for an outsource company and this is where Pilottech takes the lead. Outsourcing your work to us will lessen your expenses and will give you the much needed peace of mind knowing that your transcription work is taken care of by the best hands in the business. Pilottech is reliable and we have developed our expertise for many years and we keep upgrading our system for excellence. Our transcriptionists are well trained in different areas and most of them specialize on specific fields. Pilottech is a company of professionals in the field of Transcription. We provide a wide range of transcription services. Our customer support is available twenty-four hours a day, seven days a week. It does not matter what type of Transcription service you want, we deliver all types that you want. Quality is our number one priority and we never compromise on it. We highly value quality and we never compromise on it. We have been for a long time now and we have all the necessary experience to enable us to work at our best. We offer top notch services at affordable prices. Our greatest asset is our customer and we do everything possible to ensure that the customer’s needs are adequately catered for. 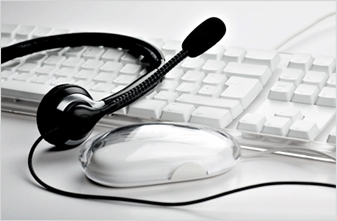 Outsourcing your General transcription work to Pilottech Transcription has manifold benefits. The most obvious and immediate benefit is cost reduction. Outsourcing the work to a reliable company like us will greatly reduce the cost and give the best turnaround time. We make it a point to deliver the work within the stipulated time given by the client. Our professionalism is extended to privacy and confidentiality of our clients. We at Pilottech transcription service offer highly competitive rates for General transcription. Quality service is the cutting edge of our company. Clients are looking for the best service with reasonable rates and that is exactly what we offer. Why not try our no obligation free trial service? This is a win-win situation where you get to try our service at no cost and at the same time we get to show you that we are one of the best service providers in this business.